Where Superheroes (Might) Go to College! If I’ve learned one thing from a lifetime of reading comics, it's that very few superheroes can make crime fighting their full-time job. Most still need a secondary career just to pay the rent, and a major step toward that career is a college education. 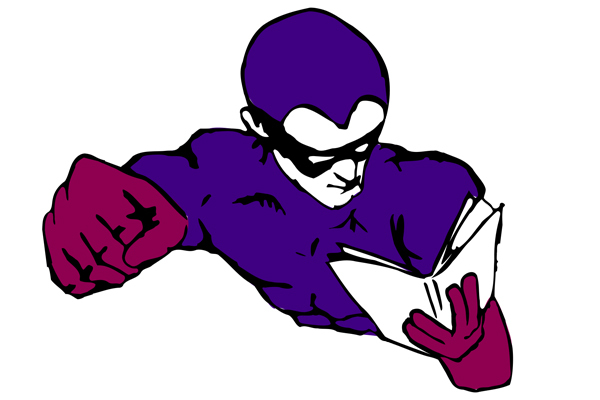 As with all students, each superhero has his own individual wants and needs when it comes to higher education, so let’s take a look at some of the schools attended (or schools that should have been attended) by members of the superhero community. Steve Rogers, better known to the world at large as Captain America, was too busy fighting the Axis powers during World War II to attend college, and the subsequent decades he spent frozen in suspended animation had him permanently waitlisted. Cap, of course is a soldier through and through, so if he’d had a chance at higher education, I’m betting West Point or any of the higher end military schools would be glad to have him. The Green Lantern Corps is an interstellar police force that keeps the peace throughout the known galaxy. There have been a lot of Green Lanterns over the years, and while Hal Jordan wasn’t the first, he is easily the most well-known. Before he was busting jaywalkers in space, Jordan was a fighter pilot for the U.S. Air Force and later a test pilot for Ferris Aircraft. Had Jordan not gone the military route, he might well have attended a school like Embry-Riddle Aeronautical University or Vaughn College of Aeronautics and Technology to earn his wings. Okay, this one's tricky. While Shazam himself appears to be an adult, Billy Batson, his mortal form, is only 13 years old. In fact, he’s still basically the same age he was when he premiered in WHIZ Comics #2 in 1940, so Billy’s college search is on an indefinite hold. Costumed vigilante Daredevil offsets his blindness with a radar sense that he uses in his war on crime, so basically his power is that he’s blind but can still see anyway. Yeah, I don’t get it either. When he’s not being Daredevil, though, Matt Murdock is a crusading attorney. It’s been established in the comics that he got his undergraduate degree from Columbia and his law degree from Harvard, so no speculation is necessary. Bruce Wayne would go to . . . well, any school he wanted because he’s both a genius and filthy rich. And also because, well,he’s Batman.. When he’s not leaping tall buildings in a single bound, Superman works as reporter Clark Kent for a great metropolitan newspaper called The Daily Planet. The idea is that the job allows him first hand access to situations that might require the Man of Steel’s attention, but he still needs to know the ins and outs of the field. A degree from a school with a strong journalism program would be in order, so the University of California, Berkeley or Columbia University might be good choices for the Last Son of Krypton. Clearly, while admission to the Justice League of America or The Avengers may not require a degree, a college education is a valuable tool in any crime fighter’s arsenal. Matt holds a B.A. in communications from the State University of New York at Oswego and is Production/Web Content Manager at Carnegie Communications, working primarily in the magazine production department. His previous blog work can be found at Cinematical.com (now part of America Online's Moviefone.com site) and his acts of carfoonery (cartoon buffoonery) can be found at his website Gerbil With a Jetpack.